Gross eh?!?!?!?! And totally cool!!! Perfect for Halloween! 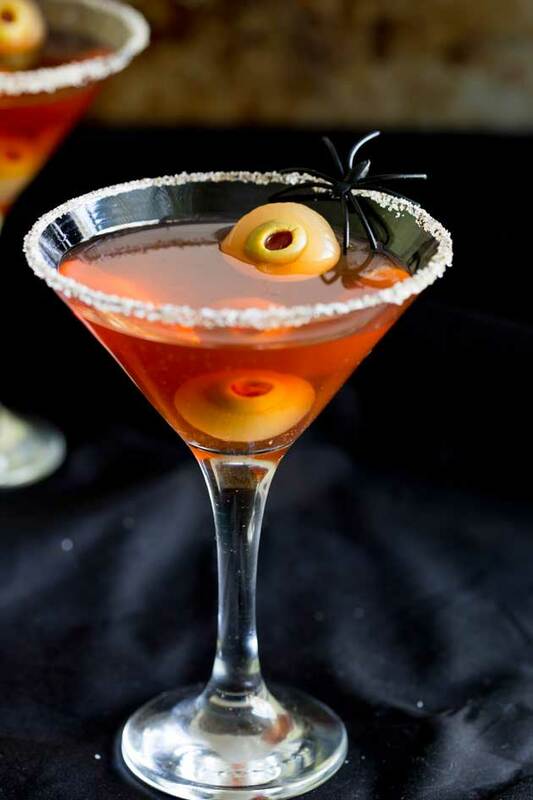 These eyeball martinis will amuse and disgust your guests in equal measure! These ‘eyeballs’ are perfect for any drink! 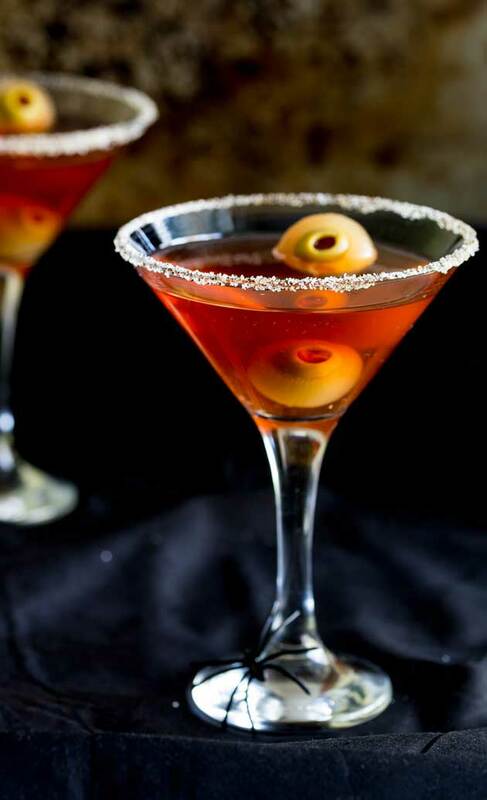 Slip them into a classic martini, for a twist on a dirty martini. Skewer them on the edge of your bloody mary. Or if you could just eat them 😉 I decided to float them in my spiced capsicum martini. I love how spooky they look in the red liquid. You can get the recipe for spiced capsicum martinis here. 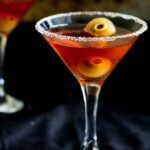 If you love this recipe for Eyeball Martinis why not pin it for later. Cut the root end off your pickled onions and use the end of a spoon to push out the middle. This will give you the 'socket'. Cut the end off the green olives and push them into the socket of the pickled onion. Skewer with a cocktail stick. 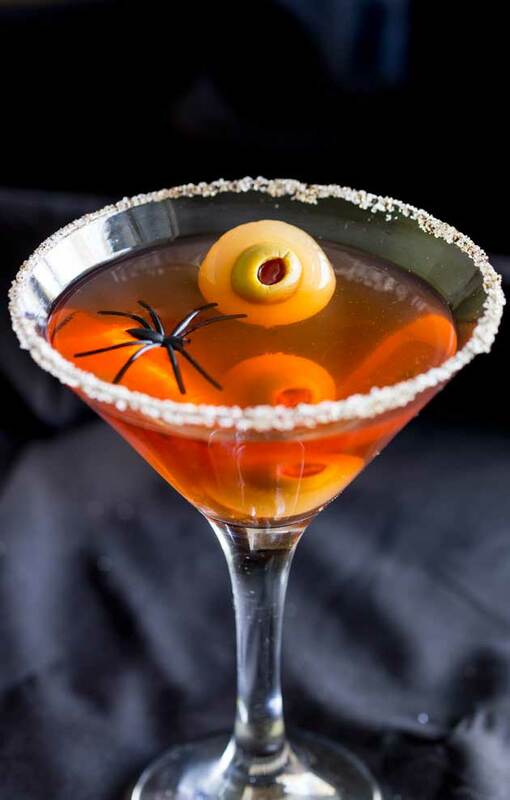 I added mine to my spiced capsicum martini but add them to any drink or serve them as an appetiser at your halloween party. Hi Claire! Your posts always make me smile (and laugh)! Years agoI bought Gary a huge martini glass (It will hold over a quart of liquid) and I found three olive candles (because he always wants three olives in his martinis), He’s never had a martini in it, but it sits on top of our refrigerator to this day! Truth be told, I’m not sure he could finish a martini that big! I love your stories too Dorothy!!!! That is the sort of wonderful story that I love!!! For my Dad’s 40th, my Mum bought my Dad 40 little presents all wrapped up in a box that looked like a birthday cake!